HAND DELIVER MESSAGES TO YOUR CUSTOMERS! 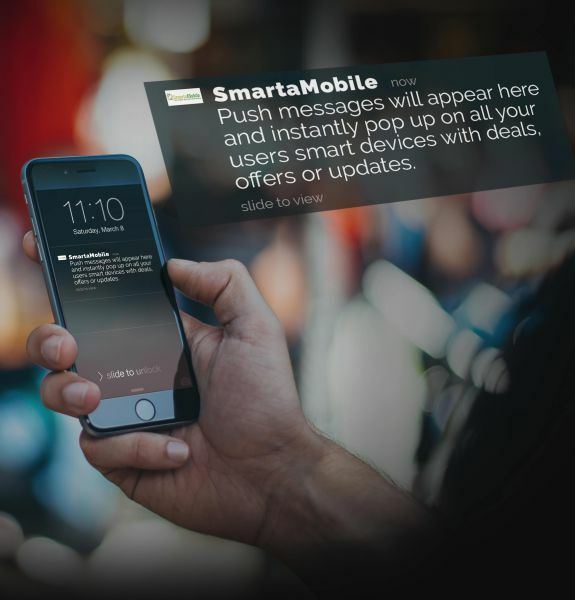 You can send FREE and an unlimited number of push notifications to your customers’ mobile devices. These can contain information about deals, offers, vouchers, specials as well as timely reminders. Ability to send messages to a group of customers, or even a single member! With geo-targeted push messages you can now target users based on their location! What's more, with our geo-fenced messages you can even setup a virtual perimeter on a map, and when users drive or walk in to that perimeter, you can set it up that they will automatically receive these messages! Catch those customers that may be browsing in a competitor's shop, and remind them that you have better offers for them!